The Print Edition is Ready! You are here: Home › Blog › The Print Edition is Ready! Pocket Copyright Guide for Publishers, authored by Laura N. Gasaway and edited by Iris L. Hanney and published by Unlimited Priorities LLC, is available for $14.95 as an eBook or for $24.95 as an eBook/Print Edition bundle. 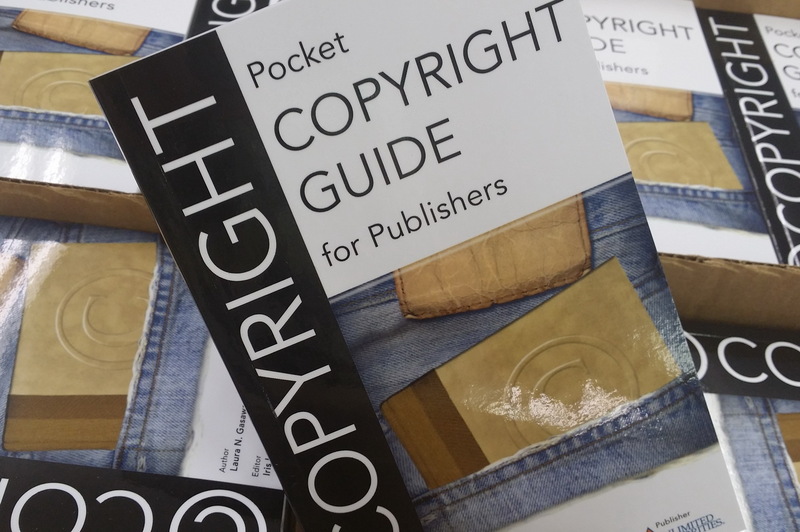 Pocket Copyright Guide for Publishers contains information vital to the publishing community. As copyright is the lifeblood of publishers, a basic knowledge of copyright law is crucial to working effectively with authors on such issues as transfers of copyright, terms of copyright, terminations and ownership. In addition, publishers must contract with authors and photographers –– and often other publishers –– to obtain permission for use of portions of copyrighted materials in new works.